ASIA (MNN) ― Asia (MNN) ― Church leadership development in Asia is a challenge. 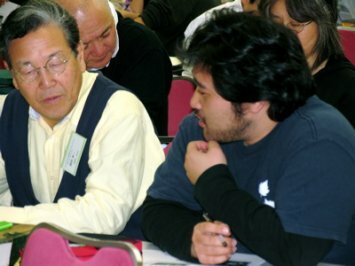 Leadership training for Asian Access started as the Japan Church Growth Institute and has grown to nine countries across Asia. The key to its effectiveness is the careful selection of twelve emerging leaders on an annual basis. These leaders are then invited to be a part of a class that meets four times a year, for a week at a time, over a two-year period. When the twelve meet together, they are working through an established curriculum that accelerates their growth as spiritual leaders, as well as organizational leaders. As word about this work in Japan spread across Asia, interest grew. Asian Access began to explore how to help leaders in other places in Asia. When the indigenous church began owning it, the growth was exponential in one of the largest countries in Asia. Joseph Handley, President of Asian Access, or A2, says, "'In the provincial capitals, we'll call it 'B2,'" describing how the enthusiasm for a homegrown A2 movement began spreading. What's more exciting, Handley says, "They've launched an entire movement of leadership training that follows this vision: to be a vibrant community of servant leaders with vision, character and competence, leading the church across Asia." Because the Gospel is making huge inroads, "Not only did they start a B2 movement--the country is so large and they want to impact more rural areas--they've now started a C2 movement," says Handley. In India, A2 leaders want to start their own B2 movement. Handley says prayer is huge, and a lot hinges on the identification of the right leaders. "As we look toward expansion in countries like India, one of the most critical components we have is finding the right pastor who will become a regional or city leader to lead the effort." You can find out more about how you can help. Click here for details.